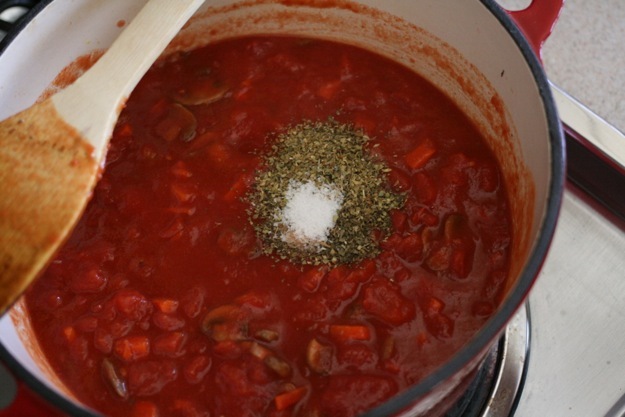 There are ten grams of sugar in a 1/2 cup of Prego pasta sauce. 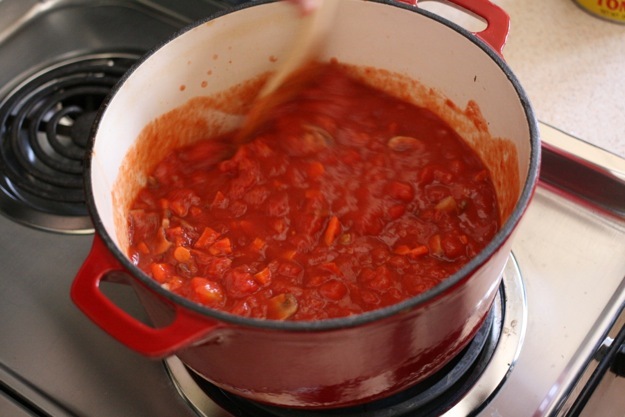 Prego also adds canola oil, citric acid, and natural flavors along with 480 mg of salt to their tomato paste, tomato puree and water mixture. I honestly have no idea how humans eat Prego sauce on their pasta.  Although Team VP never subscribed to the flavorings of Prego, there were some moments of weakness when organic marinara sauce could be found in our pantry. The ingredients were not in all actuality that horrible, but the salt and sugar content was embarrassing. Last week I decided if Prego could make marinara, so could I. 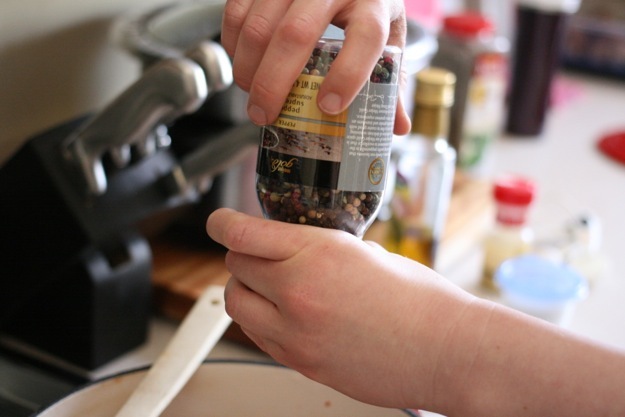 Our recipe is FODMAP friendly, but you can make easily turn your sauce into a family favorite by adding or subtracting vegetables. Keep in mind, however that the vegetables that are in the sauce become invisible once they are cooked, so this is an amazing way to get your kids to eat that one extra serving. The first thing that you will want to do is prep and clean the vegetables. 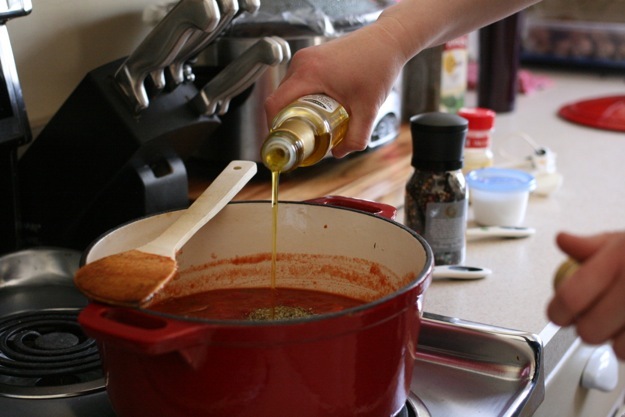 If you are making the non-FODMAP version of this sauce you will also need to chop your onion and mince your garlic. 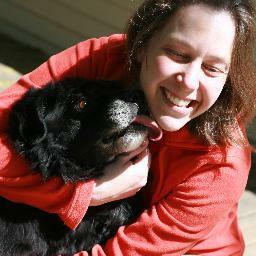 The first step I’m going to walk you through is cleaning the mushrooms. 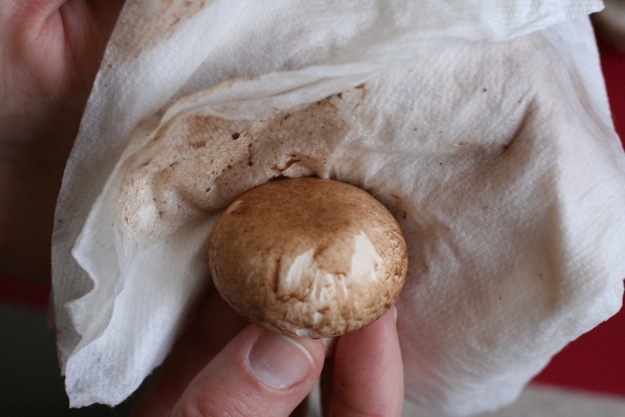 Mushrooms are grown in the dirt, so obviously they are going to be dirty. They are going to be especially filthy if they happen to be organic mushrooms that are not pre-washed. Please don’t be afraid of the dirt or the mushrooms. 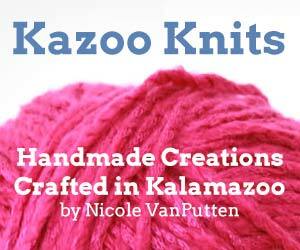 Just take a damp paper towel and wipe off as much dirt as possible. Do not run the mushrooms under water. After all the mushrooms have been wiped down, simply chop each one in slices. 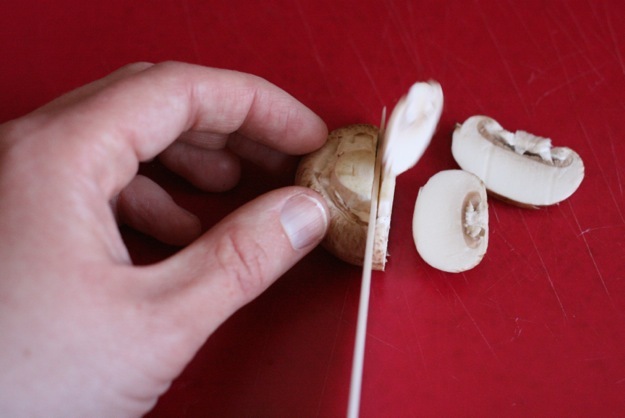 Some people like to slice the stem off, but I like to keep my stems on. Honestly it does not matter. Just slice your mushrooms up in uniform pieces. 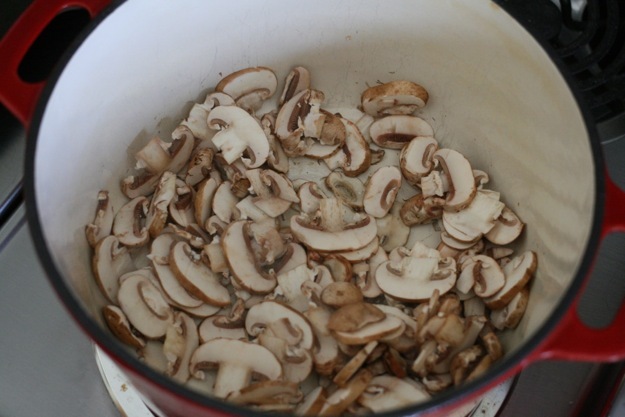 Your goal is to put all of your sliced mushrooms in a medium to large pot, I like to use our dutch oven, to sauté them for ten full minutes. 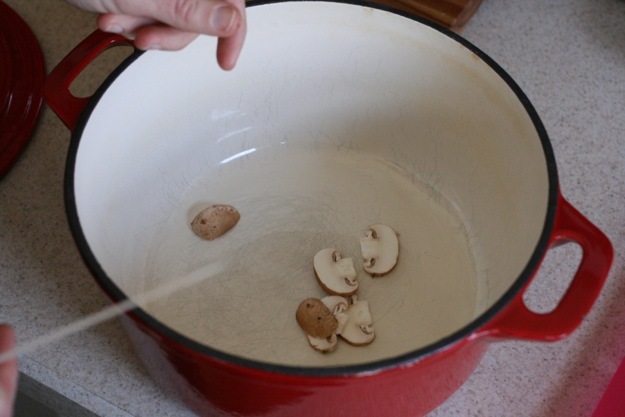 After all of your mushrooms are in your pot, turn your burner on to medium high heat. 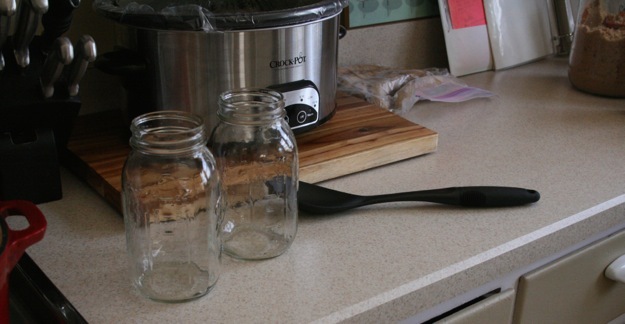 Giving them a gentle stir after a couple minutes, you will start to notice water. 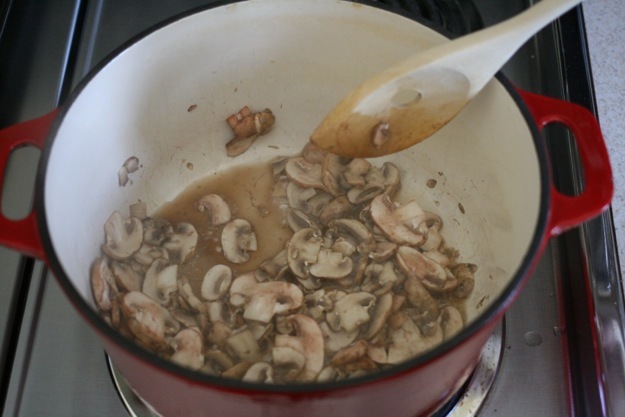 After ten minutes you will have fully cooked mushrooms and quite a bit of water. 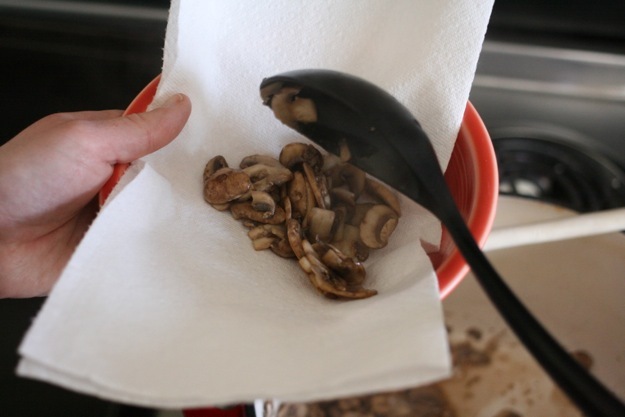 Scoop the mushrooms out and let them finish draining on a paper towel. Pour the water into the sink. 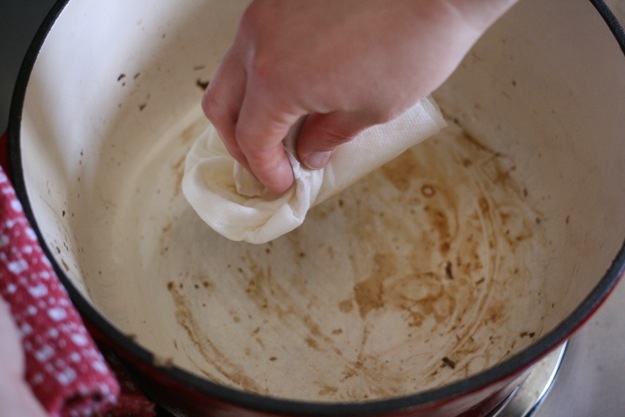 Then very carefully wipe the bottom of your pot out with a wet rag. 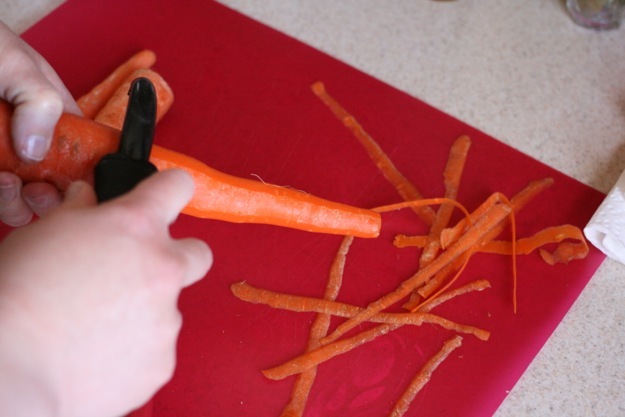 To chop your carrots simply peel each one. 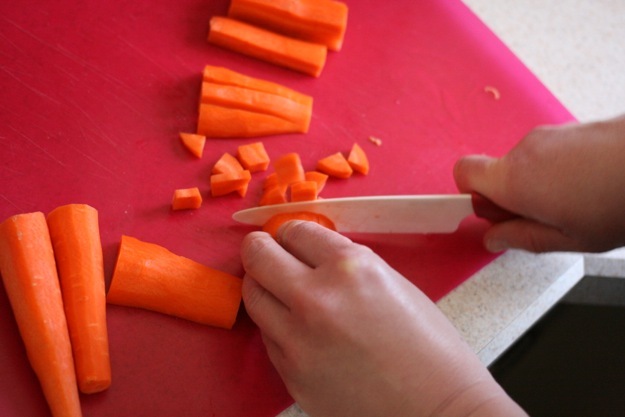 Then cut each carrot into strips and each strip into small bits. 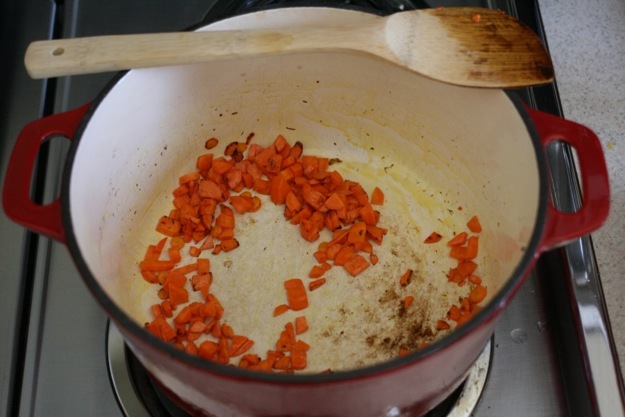 The carrots should be cut into fairly small pieces, but remember this is your sauce, so you can control the size of the vegetables. For the non-FODMAPers who are using onion and garlic or if you are adding another vegetable, you will want to chop it now. Then place your onion and garlic in your clean pot and saute for ten to twelve minutes. 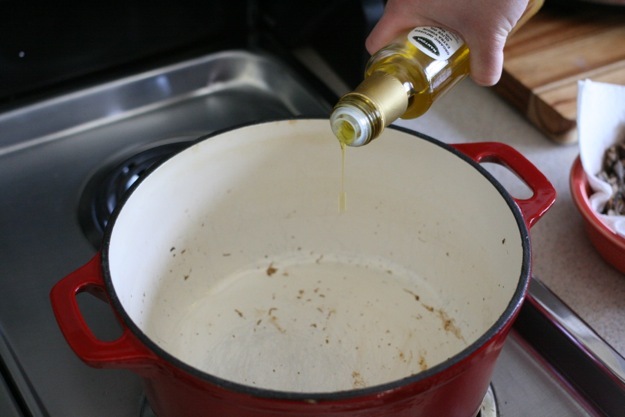 Pour about two to three tablespoons of garlic infused oil in the bottom of your pot and turn the heat on to medium. Add the chopped carrots and cook for about ten minutes. For those of you who are adding in other vegetables like red or green peppers you will want to add those in now. 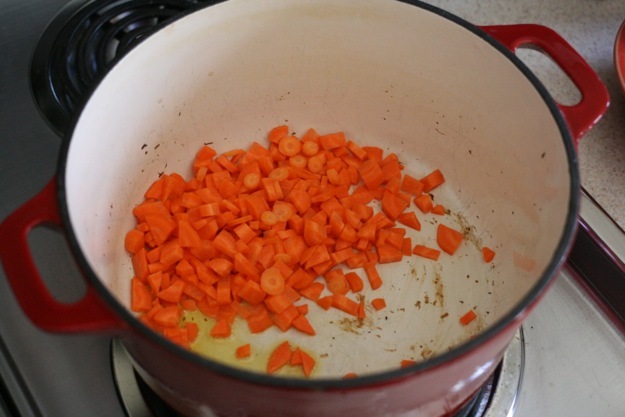 After ten minutes your carrots will look lovely and your kitchen will smell amazing. 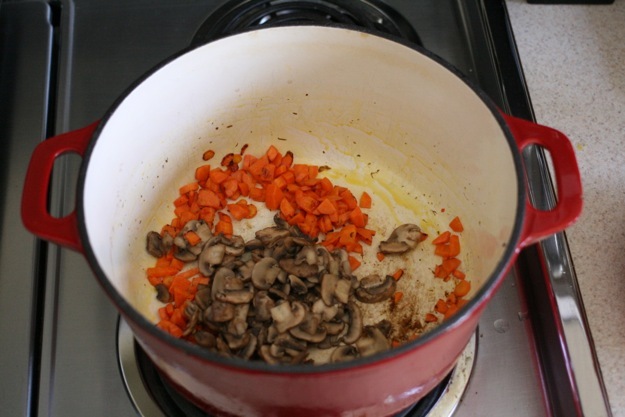 Put your mushrooms in with your carrots. Add in your tomatoes. 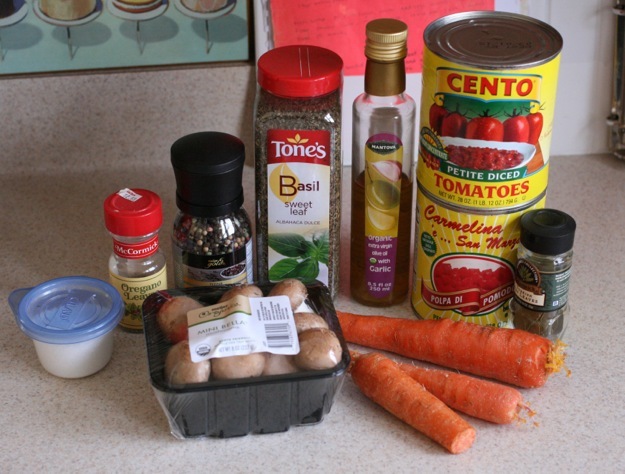 Please use a good quality tomato like Centos if you are using canned tomatoes. Read your labels! 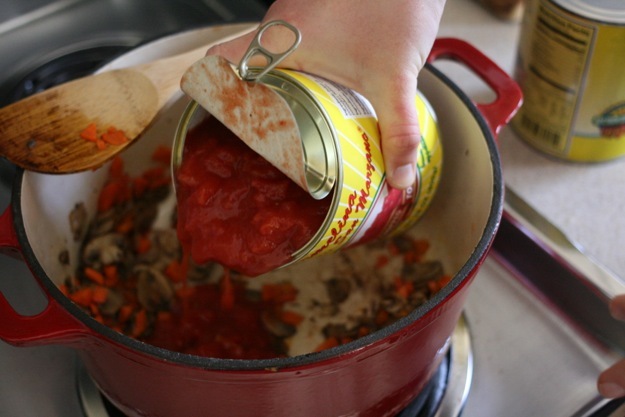 Most canned tomatoes have preservatives that are unnecessary. One teaspoon of basil is next. 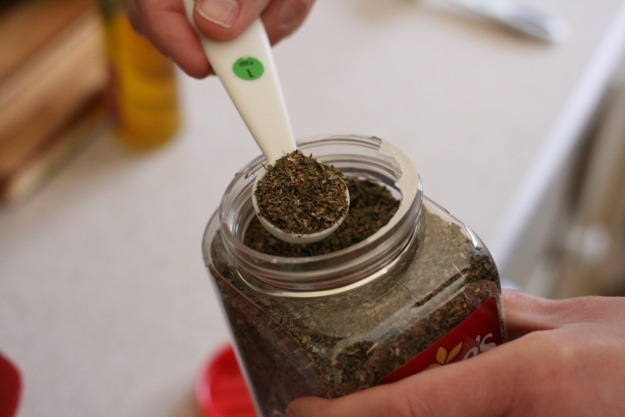 Then 1/2 teaspoon of oregano. Add in 1/2 teaspoon of salt. One more tablespoon of garlic infused oil. And last, don’t forget to add two bay leaves. 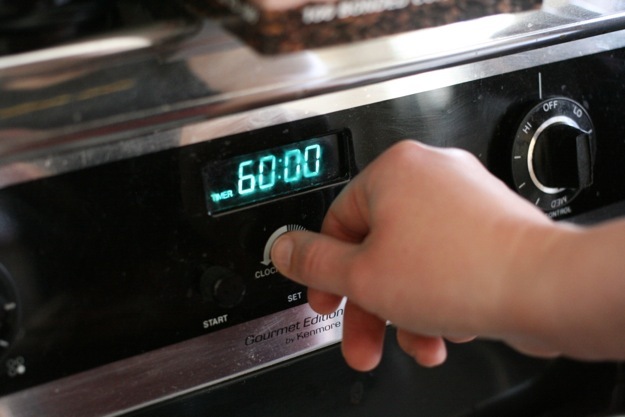 Set your timer for one full hour. 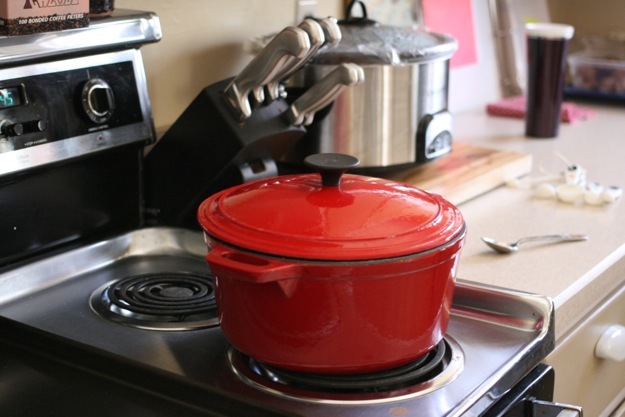 Put the lid on your pot and turn the heat down to medium low. 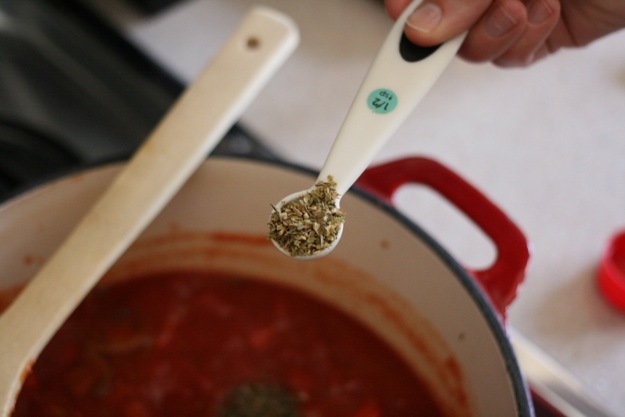 Make sure your sauce is at a simmer. You can stir your sauce occasionally, but this is not a terribly needy dish. 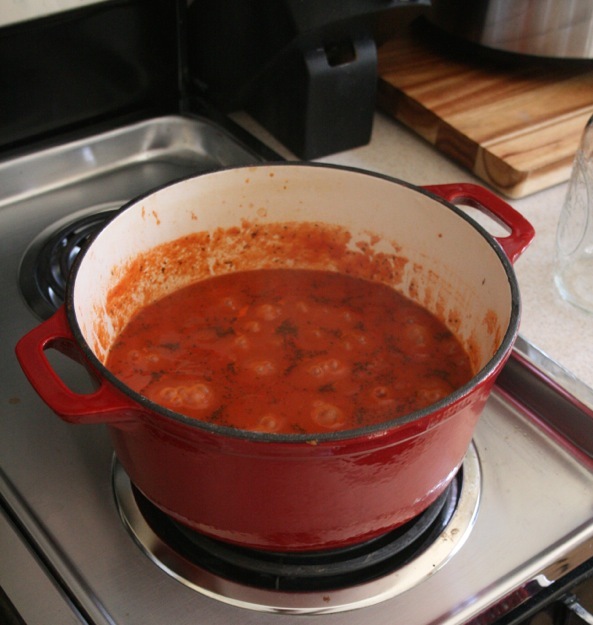 When an hour is up your sauce will be bright red and smell so fantastic. I like to keep our sauce in large jars. 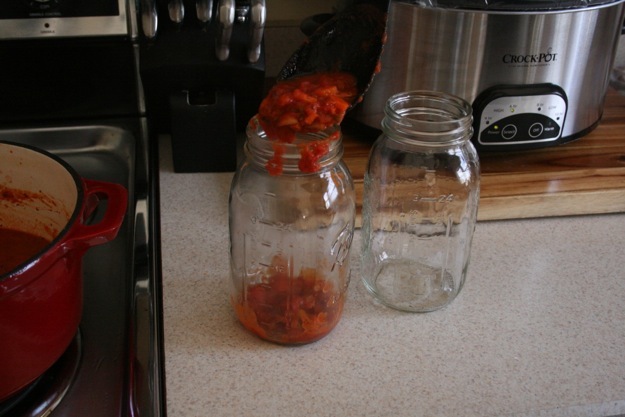 Just remember to be extremely careful with the hot sauce and glass jars. 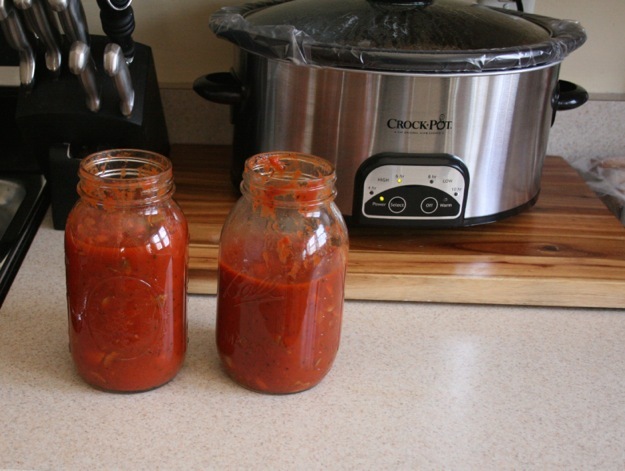 It takes a little practice, but spoon the sauce into the jars and then allow it to cool. 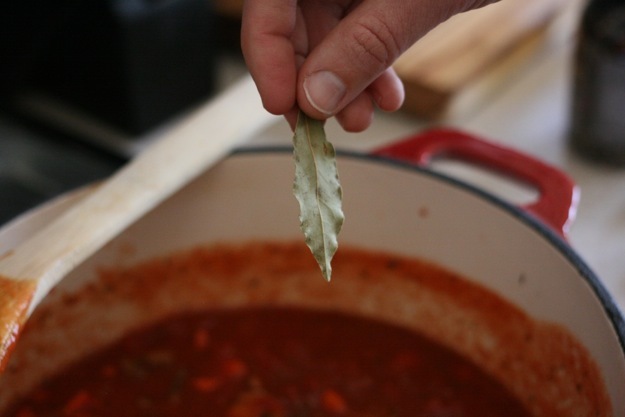 I almost forgot to remind you to take out the bay leaves! 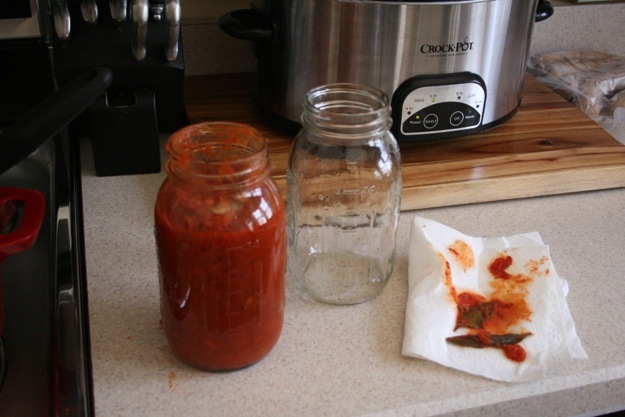 This sauce will store in the refrigerator for two to three weeks in glass jars. It tastes amazing on GF pasta, eggs, brown rice, pizza crust, and in a wrap. Who needs Prego?